I love living in an area that experiences four distinct seasons – winter, spring, summer, and fall. This spring, the flowering trees and bushes have been especially brilliant in their displays, showing off with bright whites, pinks, yellows, and purples. I enjoy coming to the end of winter and anticipating that first showing of spring … and then waiting for the first 80+ degrees streak and planting our garden (which we started this week), as summer is clearly just around the corner. These seasons mark the passage of time, break up the year into segments, each with its own goodness and glory. Creation does indeed display the wonder and majesty of the Creator. God paints in wondrous colors, all vivid and unique. He inspires artists – painters, musicians, and writers through His perfect, ongoing creative acts. As the seasons of the year come and go, I am reminded that so do seasons of life. And while we lament the passing of one season, we need only remember that the next season, though different, will be no less wonderful. Right now, we love our garden. It’s new, freshly tilled, no weeds. By August, we’ll begin feeling differently. We’ll grow tired of working in the heat, pulling weeds, and picking beans. We’ll be ready to close shop as fall begins to peak around the corner. But the end of the summer always brings the greatness of fall – cooler days, s’mores, bonfires, the return of school. Each season, while glorious in its own time, passes, leading to another season with a different set of expectations, but with a goodness all its own. And so do our lives. This week is fall break in our parts, and my little family has been out of pocket a bit lately, so I’m taking a two-week break from my “brave” series. I hope you still join me on Wednesdays to read about some of the other things we have been enjoying and seeing God do in our lives! So, for the past three years, I have plopped down quite a few dollars and travelled to Nashville for Hutchmoot, a gathering of Christian artists and those who love and appreciate such art. I consider this a brave thing to do, first because I can be fairly socially awkward and unsure of exactly what to do when faced with 150 people I don’t know. The trip is also a definite sacrifice of time and money. And, while I play the piano and I write, I consider myself one of the lesser artists and creators in the room. But I still go. Each year right before Hutchmoot begins, I have a certain amount of doubt. Am I wasting several hundred dollars on this? Will I be able to glean anything from this experience? Will I feel like I am in middle school again with no one to talk to in the cafeteria? Maybe next year I won’t go. And then I got to the hotel room I shared with my friend Amy, whom I had not seen in a year. My excitement grew. We went to the opening session, and I was inspired. We went to supper, and I was fed physically. We went to the opening concert, and I was encouraged. Coming into Hutchmoot this year, I have really been wrestling with the question of the value of art in Christian community. I don’t come from a faith tradition that has embraced art as a part of Christian expression. I have struggled with whether or not art is too impractical. Should I be giving myself to other ministries that are more concrete, more quantifiable? Can God use what little talents I have to offer, or should I just abandon the idea of writing altogether and move on to something else? And here is what I have learned this weekend – There is value in beauty and art from a Christian standpoint. Jesus used story and imagination to train his followers. He called upon their imaginations to picture the Kingdom of Heaven. He taught in parables. He embraced creation. He expressed joy and wonder and amazement. We are called to create right where we are, even if that place doesn’t seem ideal. God has placed us where we are for a season and a purpose. We can’t wait to live out our calling, we have to follow His leading now. We begin with our home and our roots. Creating beauty takes discipline, time, and hard work. We need to give ourselves the tools necessary to succeed. We create environments in our home that inspire our family to embrace beauty. Creativity can be cultivated. When we consume excellent art, we will produce excellent art. So, what do I do with all of these thoughts? I need to become more intentional about creating the kind of environment that encourages imagination and inspiration. I need to make my home a place that embraces art and creativity. I want to be more brave in my own walk with the Lord, and I want to inspire others to do the same. I went to Hutchmoot this year with no internal agenda. I didn’t have a list of things I hoped would come from the weekend. I simply waited and watched to see what God would have me learn. I wanted to be amazed by God. Andrew Peterson said it best when he prayed, “Lord, show us something cool.” As I have driven around Brentwood the last few days, I have prayed the same – “Show me something cool.” As I write this on the last day of the conference, I am praying the same for my journey home and in the days to come. Lord, show me something cool. All the way back in January, my word for focus and inspiration this year was “intention” – and here it is, popping up yet again in October. A couple of weeks ago, I had the privilege to attend my second Hutchmoot, a conference gathering for Christian artists and for those who support that art. The whole Hutchmoot experience is a bit like being a teenager at summer camp. We are immersed for a few days in what seems to be the perfect world for living out our faith and practice, and then we are forced back into the real, grown-up world on Monday morning with bills, getting kids ready for school, going to work, and all of the other daily rituals that keep the world turning. So before I left my hotel room on Sunday morning, I wrote down what I believe are my biggest epiphanies from this year’s conference so as not to lose them somewhere on the drive home. But as you will see, I actually left with a series of three questions, rather than the answers to the questions. 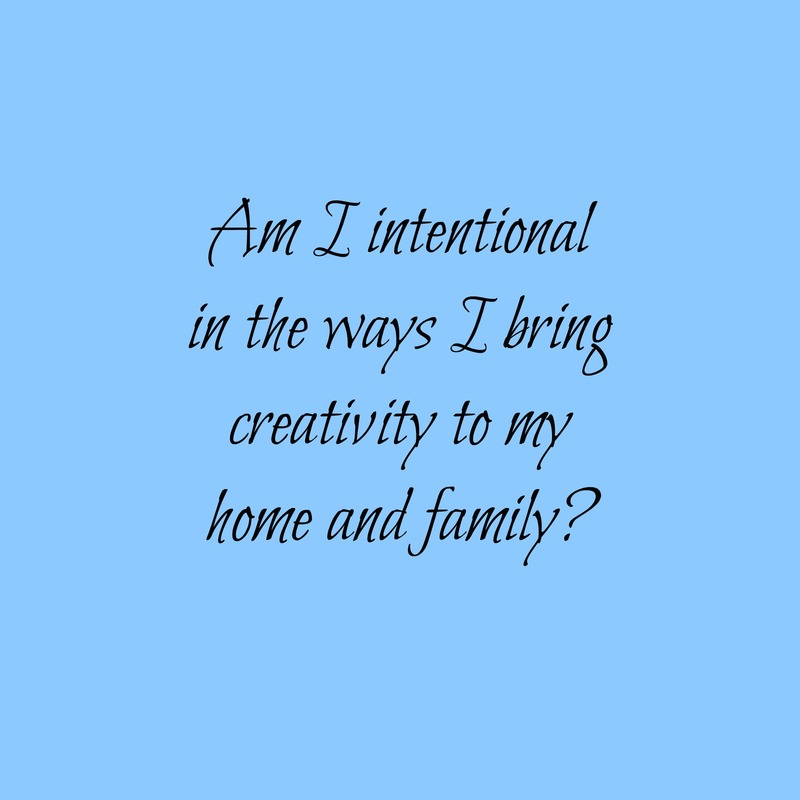 Am I being intentional in the ways I bring creativity and inspiration to my home and family? Am I passing along a love for good things (delicious food, good music, excellent literature, fine art)? What are ways that I can do these things better? During one of our session times, I was able to hear Clay and Sally Clarkson speak about releasing the creative spirit in your child. I left that session so challenged to take a good look at my parenting, and the ways that I am shaping (or failing to shape, as the case may be) my son through his preschool years. Here are the short answers to my questions: I don’t believe that I am being intentional enough to introduce Henry to the particular art that we enjoy. He sees me rehearse, either vocally or on the piano, but I’m not necessarily communicating a love for what I do. I read and write when he is at school or asleep, not where he can see me. We are not always intentional to introduce him to a wide variety of music, and we don’t take him to enough culturally rich experiences. The thing is, we keep a very busy calendar without a lot of white space. So while I’m not looking to make sweeping changes to what we do, I am seeking to find small ways to incorporate a love for good art into our busy life, in the music we choose, in our free-time, in our family time. I want to turn the TV off more, and turn on good music instead. I want to find a few age-appropriate theater or art events to attend. I want to spend more time actually playing music with Henry. I want to read more books with him, both the books he likes most and new books that will challenge and inspire him. I want to give him the tools that he needs to be creative in the ways that he enjoys most. I want to speak encouragement into his life, letting him know that God has made him with certain gifts and abilities, and He has a plan for using those in the future. I want to use the good china, cook a nice meal, burn candles, buy flowers, and set the stage so that he knows that the “nice” things are just for Important Occasions, but that every single day is a day to celebrate. In my experience, parenting is a lot like art. Ready or not, we dive in, and we make adjustments, edits, and course corrections along the way. Here’s to making an adjustment to passing along a love for the art that makes our family unique. At a neighborhood block party last weekend, I sat and talked with a young woman who has been blind since she was 15. She was asking about my writing and my blog, and said she has thought of starting her own blog. Fear, procrastination, and busyness were holding her back – would anyone even want to read what she has to say? Friend, let me tell you what I told her – the world needs your story. Whatever your life is like, whatever you have faced in the past or are facing now, someone else out there needs to know that they are not alone. If you have felt it and lived it, someone else has too. 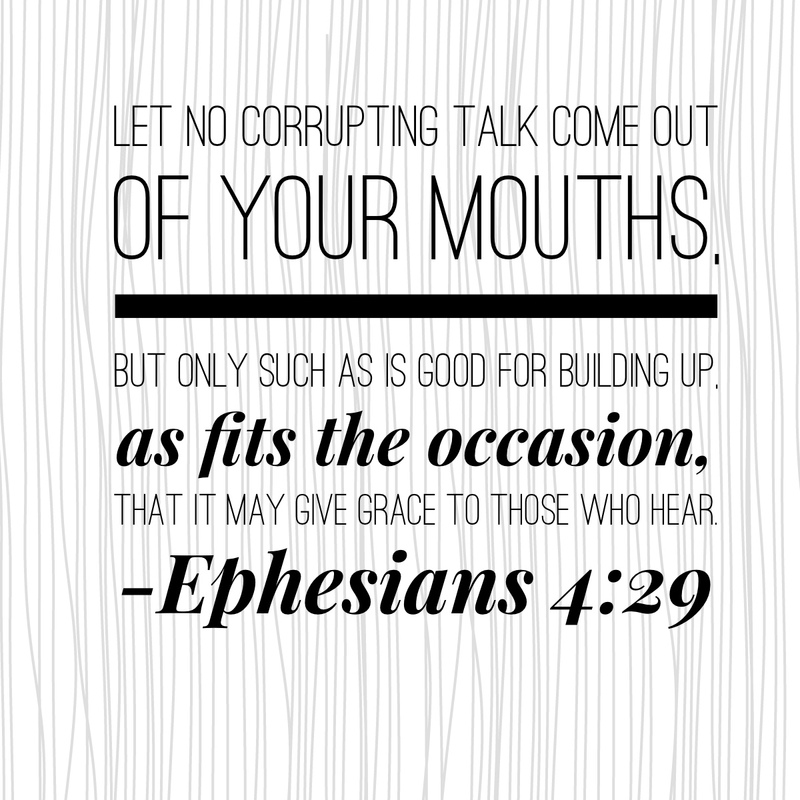 In recent days, I have meditated on the later half of Ephesians 4:29 – “…as fits the occasion, that it may give grace to those who hear.” Your words, your art, your music, however you share your story, may come at just the right time to help someone else. 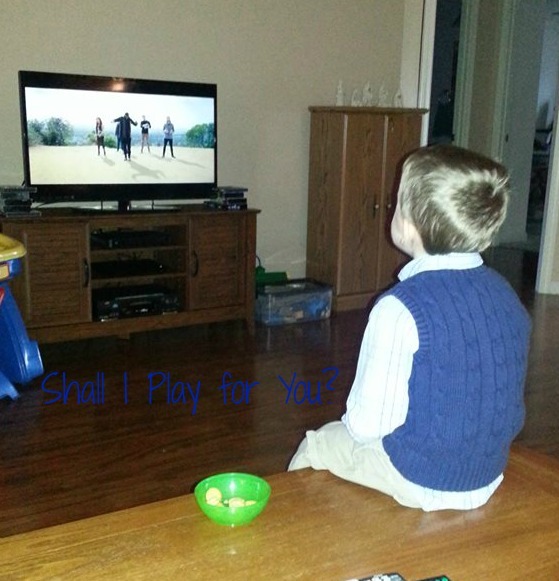 If God is calling you to share, all He asks from you is obedience. He will provide the audience, whether that be one or one million. Maybe you will share your story by mentoring or befriending someone who is lonely. Perhaps God has given you musical talents, and you deliver your message through song. Maybe you write, speak, scrapbook, garden, or do 1,000 other things that give glory to God. Whatever God is asking you to do, do it in such a way that gives grace to someone else. What story is God writing in your life? How can you share that story with someone else? 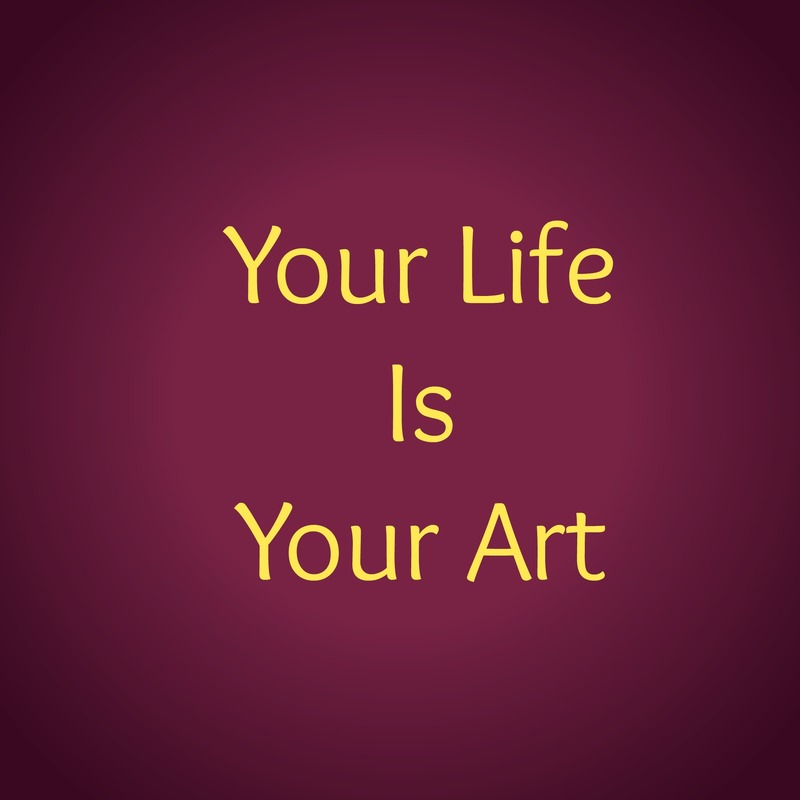 Your life is your art. I hang around the periphery of art communities like The Rabbit Room, and there are plenty of days that I am jealous that I am not creating Art. You know – the stuff that deserves to be capitalized and italicized. Paintings, doodle art, poetry, novels … things people might buy, or might at least appreciate. I’ve jokingly said that God gave me plenty of talents, just not ones that make money. But, here’s the thing. We (all of us – you and me and the guy down the street) are created in the image of the Great Creator. If we are made in God’s image, and if He is in the business of creating (and He is – just look out the window), then we are all creative in some way. Can you think of five things you have created today? I have shopped for my family (creatively using our budget and buying ingredients the feed us well this week), turned what was supposed to be a work-morning for me into a fun snow day for my preschooler, played in the snow, written a few sentences, and finished routine household chores that seem ever-so-boring but create the space we need to live our lives. I can’t stress this enough. Whatever you are doing today, this is your art. This is the encouragement I hang on to when it seems like the mundane, everyday business is taking over. When it seems like I can’t carve out time to do the things I really want to do because the laundry is piling up, the floors are muddy, and my list of errands is a mile long. This life is my art. How are you living your art today? Please share in the comments, and let’s encourage one another to continue to create lives that glorify God. As we read, write, listen to and make music, and pursue other creative endeavors, we should be reading God’s Word and learning what pleases Him. Does my writing please God? Is He happy with it? What about the music I listen to or the movies I watch? The books I read? Just … wow. God wants us to find out what pleases Him. He plainly says so in His Word. Discovering what pleases God is not some mystical challenge that can never be fully realized. He invites us to the challenge, to delve into His Word and learn about Him so that we may know Him and His desires better. This may mean rejecting some of the things the world calls “good” but are things that break God’s heart. It may mean standing up and standing out from the crowd. It may mean looking and sounding a little different. But, isn’t that what Jesus did? I don’t claim to have the magic key here, but I can say this – I want to spend more time getting to know what God likes. I want to make sure that my art and my appreciation of art line up with the things that He finds pleasing and that bring glory to Him. This is the week after my first Hutchmoot (but hopefully not my last). I learned a lot. I have a lot of thoughts running around in my head, trying to find a landing strip. It’s going to take a while to work it all out. I read this verse on Sunday morning while sitting in my friend’s apartment, just as my weekend away was coming to an end. I had spent the previous three days thinking about my own, albeit small, creative pursuits, and where my story fits in the bigger picture of God, the world, and the arts. And then I read this verse. The obvious conclusion here is that God calls us to share our physical and material blessings with those who do not have as much as we do, and I whole-heartedly agree. My family may not be wealthy by American standards, but we certainly have more than enough to take care of our needs, which puts us in the position of being able to help others. This is right and good, and is an important part of Christian discipline. But in light of the things I learned this past weekend, I think there’s more here than meets the eye. What if the work you do with your hands – honest, hard work – is done to bring beauty to the world? What if your work is to paint beautiful paintings, write meaningful songs, prepare soul-satisfying meals? I think we are also called to work hard in these areas, and as we do, we share it with those who are in spiritual need. We write songs, create art, make music, we reach into the deepest level of a soul. We can give light to those living in spiritual darkness. We encourage those who are losing their way. We inspire someone else to add their voice to the chorus. Whatever your work is, whether you crunch numbers, raise children, or create art, do it so that you can share it with those in need. Our money, our time, our talents are for the benefit of the larger community, and not just for ourselves.